Tidal wetlands play an important role with respect to climate change because of both their sensitivity to sea-level rise and their ability to sequester carbon dioxide from the atmosphere. Policy-based interest in carbon sequestration has increased recently, and wetland restoration projects have potential for carbon credits through soil carbon sequestration. We measured sediment accretion, mineral and organic matter accumulation, and carbon sequestration rates using 137Cs and 210Pb downcore distributions at six natural tidal wetlands in the San Francisco Bay Estuary. The accretion rates were, in general, 0.2–0.5 cm year−1, indicating that local wetlands are keeping pace with recent rates of sea-level rise. Mineral accumulation rates were higher in salt marshes and at low-marsh stations within individual sites. The average carbon sequestration rate based on 210Pb dating was 79 g C m−2 year−1, with slightly higher rates based on 137Cs dating. There was little difference in the sequestration rates among sites or across stations within sites, indicating that a single carbon sequestration rate could be used for crediting tidal wetland restoration projects within the Estuary. We thank the Gordon and Betty Moore Foundation for financial support for this research project. Site access and other support were provided by the California Department of Fish and Game, California State Coastal Conservancy, California State Parks, Don Edwards San Francisco Bay National Wildlife Refuge, East Bay Regional Park District, San Francisco Bay National Estuarine Research Reserve, and Solano Land Trust. Field and lab assistance was provided by Jennifer Gagnon, Mark Rosasco, and Andrea Torres. Valuable comments were provided on the manuscript by Steve Crooks, Judy Drexler, and two anonymous reviewers. Beckley, B.D., F.G. Lemoine, S.B. Luthcke, R.D. Ray, and N.P. Zelensky. 2007. A reassessment of global and regional mean sea level trends from TOPEX and Jason-1 altimetry based on revised reference frame and orbits. Geophysical Research Letters 34: Article no. L14608. doi:14610.11029/12007gl030002. Crooks, S., S. Emmett-Mattox, and J. Findsen. 2010. 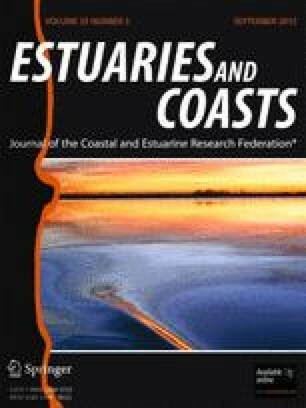 Findings of the National Blue Ribbon Panel on the Development of a Greenhouse Gas Offset Protocol for Tidal Wetlands Restoration and Management: action plan to guide protocol development: Restore America’s Estuaries, Philip Williams & Associates, Ltd., and Science Applications International Corporation. http://estuaries.org/climate-change.html. Accessed 3 Feb 2012. IPCC. 2007. Climate change 2007: The physical science basis: summary for policymakers. www.ipcc.ch. Accessed 3 Feb 2012. Wright, S.A., and D.H. Schoellhamer. 2004. Trends in the sediment yield of the Sacramento River, California, 1957–2001. San Francisco Estuary and Watershed Science 2: Article 2. http://repositories.cdlib.org/jmie/sfews/vol2/iss2/art2. Accessed 3 Feb 2012.